At Barretts Land Rover we have a number of New Range Rover Evoque offers available and we can even tailor an offer specifically for you, so you get the New Range Rover Evoque you want at a monthly repayment and deposit that suits you. Speak to a member of our friendly team today for your no obligation quote. Representative Example relates to New Range Rover Evoque D180 R-Dynamic SE Auto (20MY). Be bold and stand out from the crowd with a New Range Rover Evoque. Familiar yet strikingly individual, the design of the Evoque acts as a unique pivotal chapter in the history of Range Rover. Delivering sportier, more economical performance, the new 4-cylinder 2.0 litre Si4 Ingenium Petrol engine offers 240hp or 290hp outputs and provies maximum efficiency, performance and fuel economy through a Continuously Variable Valve Lift system in combination with variable cam timing. Terms & Conditions: Representative Example relates to New Range Rover Evoque D180 R-Dynamic SE Auto (20MY). 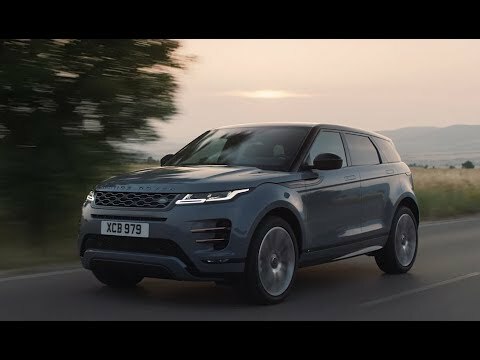 6.9% APR Representative available on New Range Rover Evoque registered between 1st April to June 30th 2019 at participating Retailers only. With Land Rover Personal Contract Purchase you have the option at the end of the agreement to: (1) return the vehicle and not pay the Optional Final Payment. If the vehicle has exceeded the maximum agreed mileage a charge per excess mile will apply. In this example, 14p + VAT per excess mile up to 4,999 or for excess mileage of 5,000 or more, a charge of 28p + VAT will apply to each excess mile above the maximum agreed mileage. If the vehicle is in good condition (fair wear and tear accepted) and has not exceeded the maximum agreed mileage you will have nothing further to pay; (2) pay the Optional Final Payment to own the vehicle or (3) part exchange the vehicle subject to settlement of your existing credit agreement; new credit agreements are subject to status. Representative Example is based upon an annual mileage of 10,000 miles. Credit is subject to status and only available to UK residents, aged 18 and over. This credit offer is only available through Black Horse Limited trading as Land Rover Financial Services, St William House, Tresillian Terrace, Cardiff CF10 5BH. £44,015 On The Road: Enquire now at Barretts Land Rover. Be among the first to drive the New Range Rover Evoque: Enquire now at Barretts Land Rover.